The Okavango Delta must truly be one of Africa’s most enchated places: a swirl of lushness in a desert of Kalahari sand; a remarkable phenomenon. 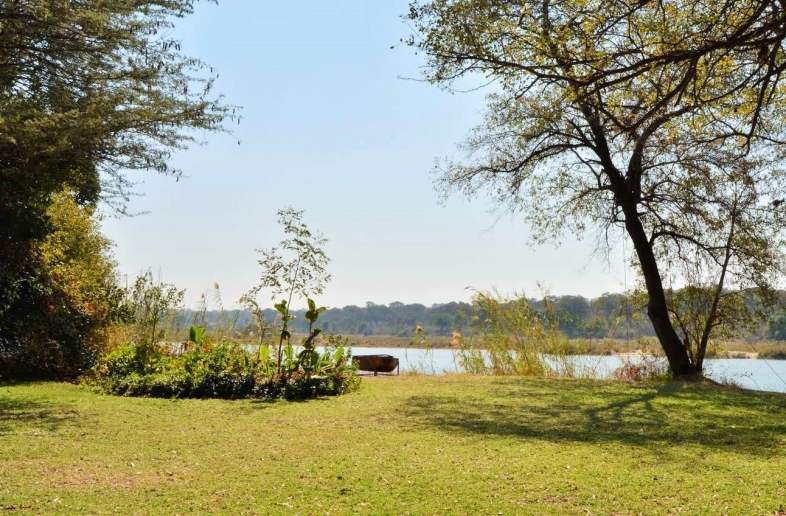 It owes its origins to the emergence of a rift valley across the course of the Okavango River. When exactly this occured is not certain but, geographically speaking, it is likely to have been a relatively recent event, possibly between two or four millions years ago. The process is still developing, and constant movement in the earth’s crust may well explain the shifts in water distribution which are so much a feature of this incredible area. 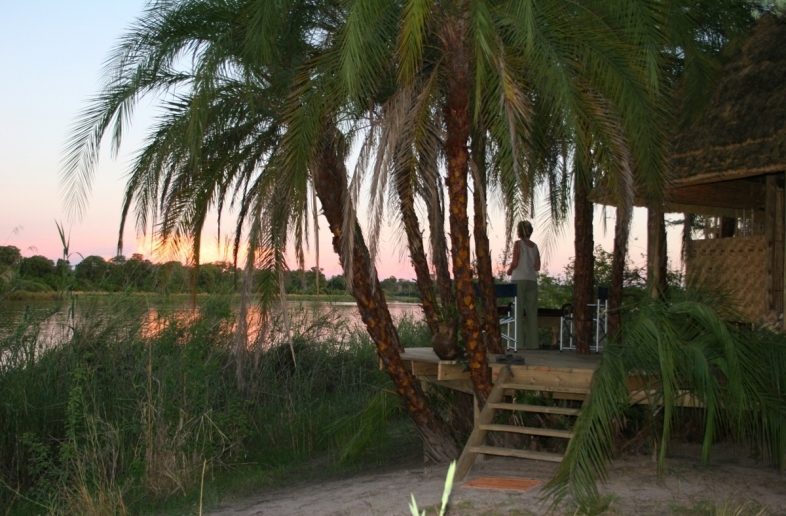 One of the world’s few inland deltas, the Okavango, adds enormously to the variety of experiences open to the visitor. 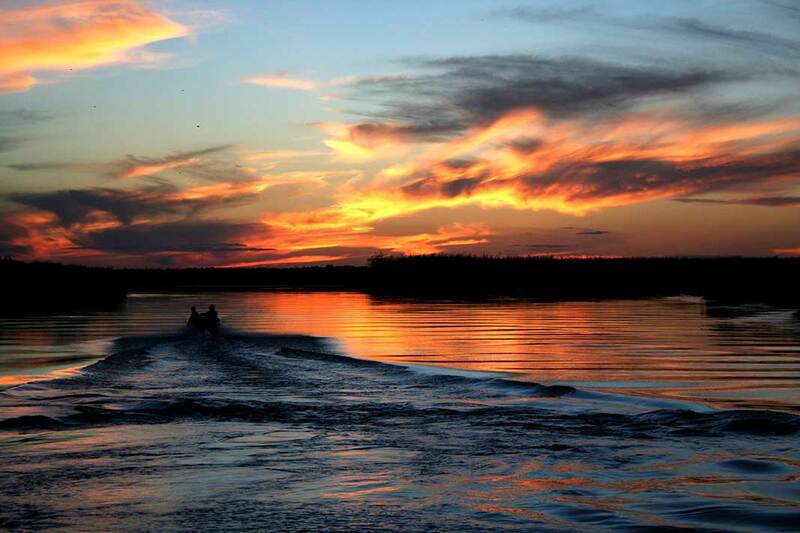 Fishing is an obvious attraction, but there’s also game –viewing. One can take to the waters of this magic world of islands and lagoons by traditional canoe (Mokoro) or powerboat. The Mokoro a shallow-draught dugout canoe hewn from an ebony or sausage tree log, which accommodates up to four people. The mokoro are poled from a stading position rather than paddled and you will be surprised to find that their precarious appearance belies their amazing stability. The ride on the Okavango Delta is an amazing one, where you will encounter hippo, snorting and grunting in the water with just their ears and eyes visible. The reeds along the Deltas edge are edible and are eaten by the local people. These reeds are home to otters and many other small game. Along the islands are reeded banks you are sure to spot elephant, buffalo and other species of antelope, not to mention one or two crocodiles. Spending an evening on one of the island is a must, its an experience unto its own. The evening brings sounds of hippo grazing, elephants trumpeting and you might be lucky to have one of these beautiful animals visit camp.